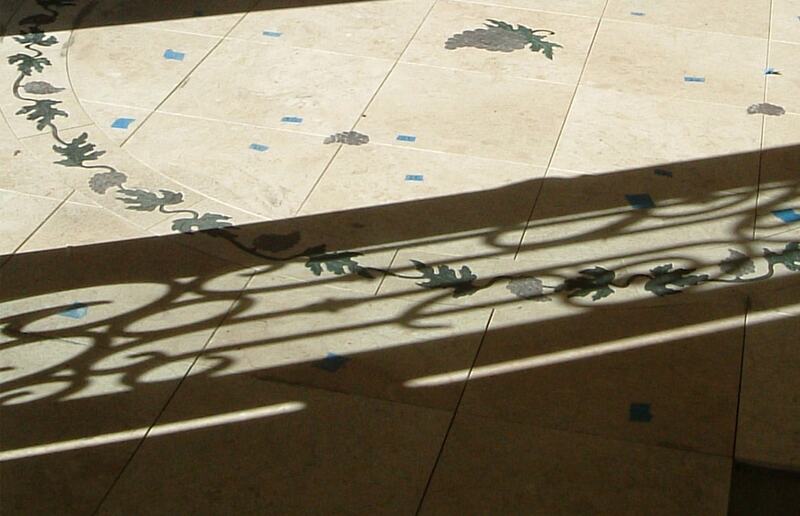 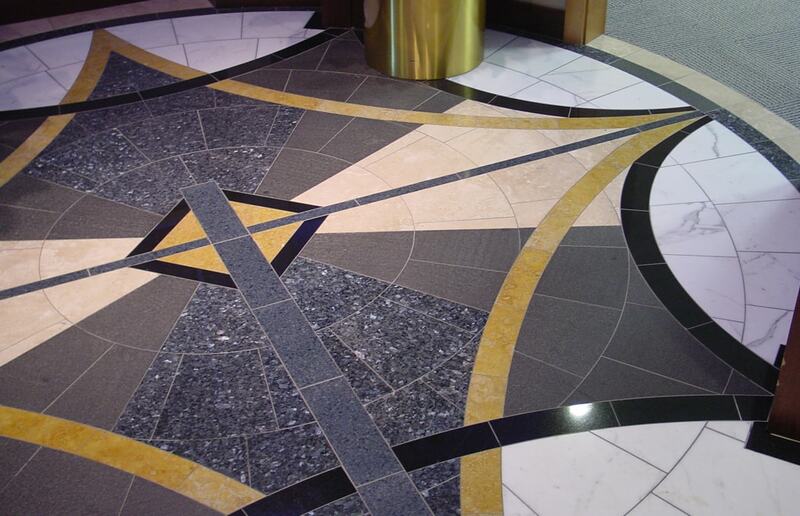 Imagine your very own logo or design executed in exquisite detail and beauty upon your floor! 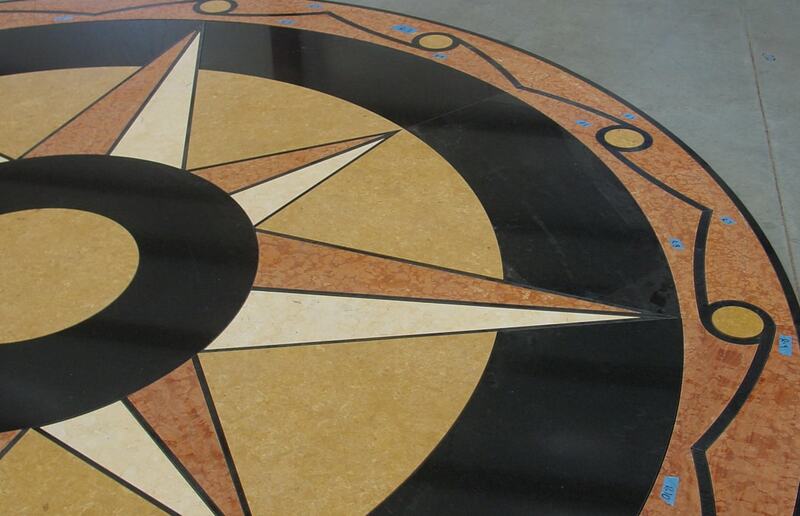 Perfect Edge can cut granite, marble, tile, carpet or vinyl inlays customized to your design and specifications. 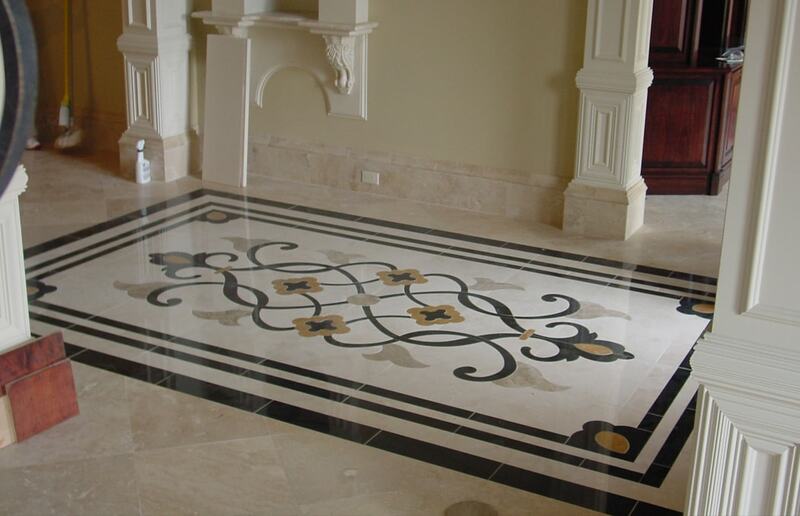 Simply provide your drawing to our staff along with dimensional requirements of the project. 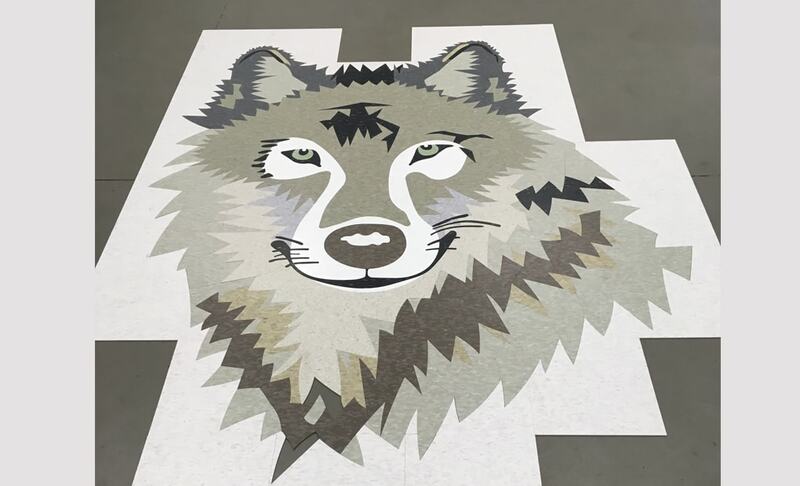 Waterjet is a cold water cutting process, so there will be no or minimal finishing work necessary for your flooring inlays. 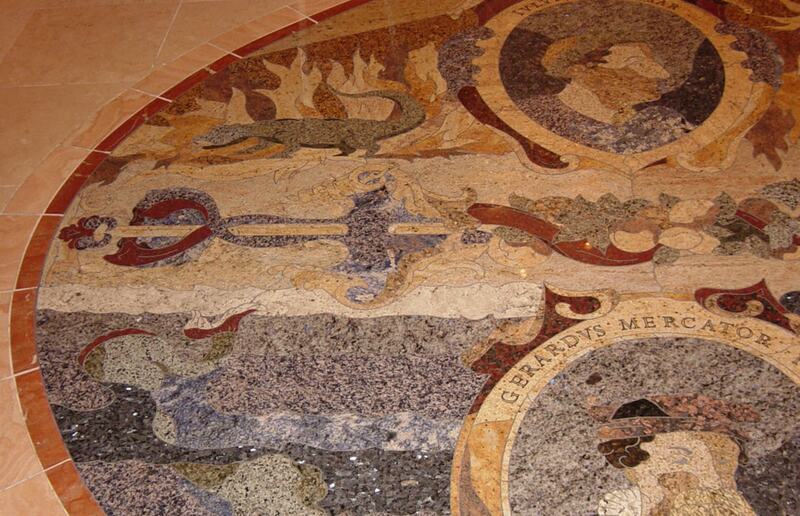 Composites will not delaminate and thermally sensitive materials will not be damaged. 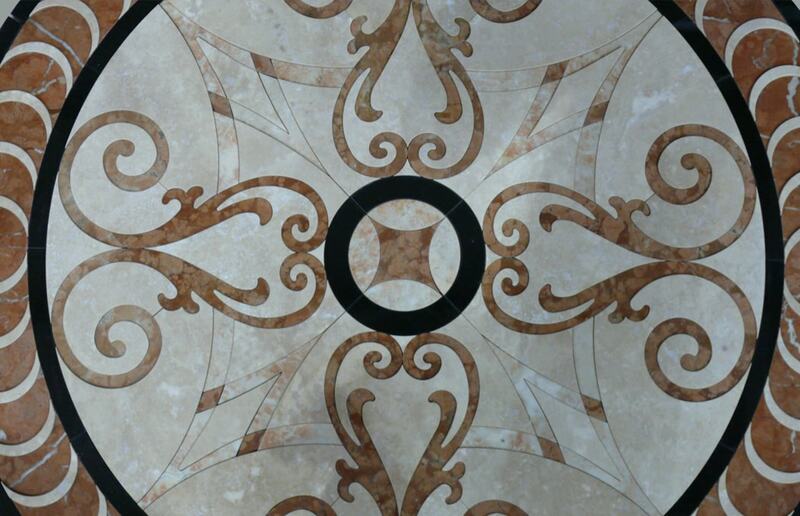 So why not consider a dramatic design element for your next flooring project!